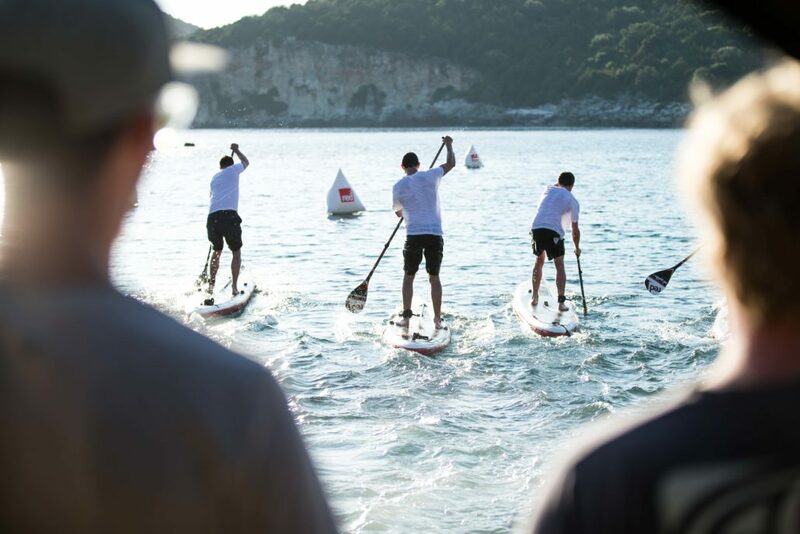 We want you to challenge yourself on the same route as the world’s best SUP athletes and be part of a huge social SUP event. Mark your calendar on September 1st 2017, when Copenhagen SUP Crossing takes place for the first time ever. It doesn’t matter if you’re amateur or professionel? Everbody is invited! *For more information about activities at Karma Kajen click here or contact Lars Schmidtsdorff and Nanna Balsby at info@activecopenhagen.dk. INFO: Please note, program is subject to change so remember to keep yourself updated on the page and through our newsletters to participants. Please see the map and description below. 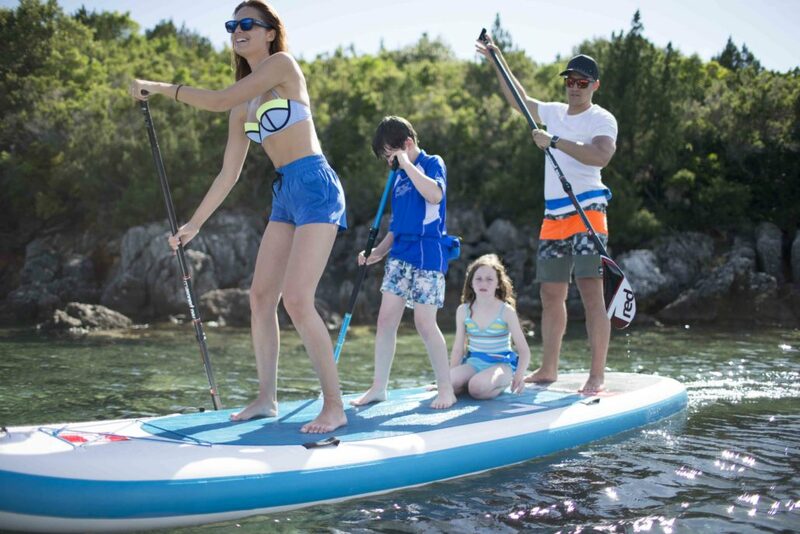 You can paddle one of four different courses (2.5, 5, 10 or 15 km.) all based on the ISA worlds official 5 km loop course. 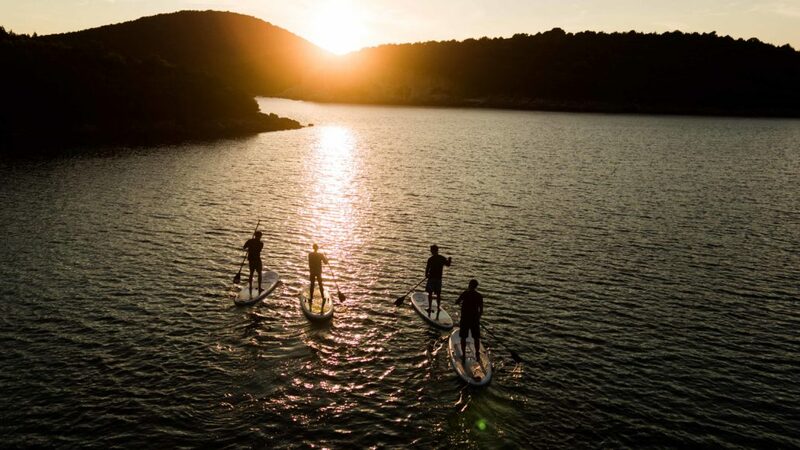 Copenhagen SUP Crossing will take place in connection with the 2017 ISA World SUP & Paddleboard Championships just in front of the Opera House in Copenhagen. This means that you will have the opportunity to challenge yourself and your friends on the exclusive World Championship course. Or you can just enjoy all the major attractions the course will lead you past. Either way, it is a unique opportunity! Accommodation for 4 nights in Danhostel Copenhagen City (http://danhostelcopenhagencity.dk/en), centrally situated in Copenhagen and right at the harbour just a short walk from the SUP arena. All rooms have own bath. Linen and towels are included in the package. For more information about the packages and availability go to https://activecopenhagen.dk/packages/ or contact Lars Schmidtsdorff and Nanna Balsby at info@activecopenhagen.dk. Accommodation for 4 nights Danhostel Copenhagen City (http://danhostelcopenhagencity.dk/en), centrally placed in Copenhagen and right at the harbor just a short walk from the SUP arena. We will have limited boards available for rent and boards are rented out on a first come first serve basis. 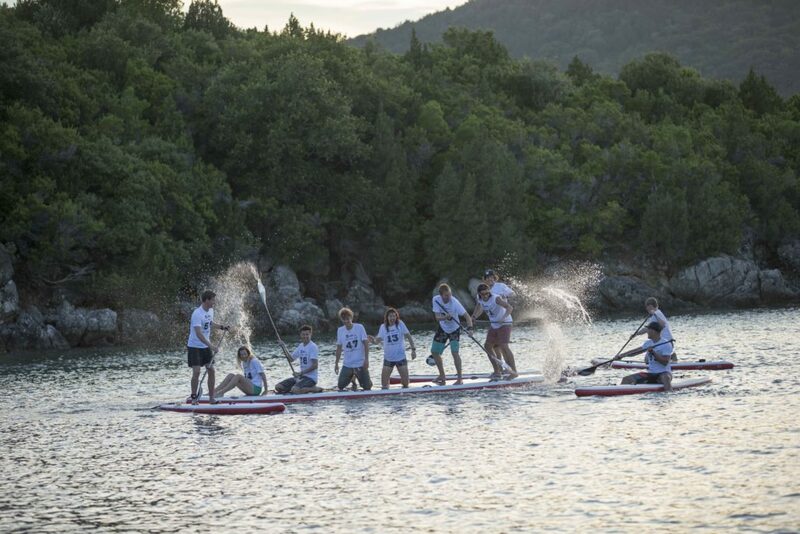 Rental boards are inflatables SUP boards provided by our sponsor Red Paddle Co. If your not renting a board it is mandatory to bring af board, leash and paddle. Early Bird Price only 300 dkk – Hurry up before they are all gone ! But be aware there is a limited stock of rental boards, so hurry up and buy your ticket now! Thursday, August 31th, you can join the Barbecue and Reel Paddling Film Festival at Karma Kajen from 6pm. We highly recommend you to register at Karma Kajen on Thursday August 31th as this will make it much easier for the organizers. We will honor the winner of each distance in each category (men & women). The price ceremony will be at the stage in front of the Opera House (please see the map) at 12.30pm. We hope that everyone who have participated will join us for the price ceremony and get the most awesome picture of the year. You can unload your equipment and park on the parking area just east of the Opera House. You get access to the area from Fabriksmestervej. Please see map. The area is private owned and the price for parking is 10 DKR (1.3€) per hour. We advise that you drop off your equipment here and either use the parking lot or the free spots on other streets nearby. However, be aware that free spots on the streets are limited. You can store a small private bag (we encourage you to use your goodiebag) in the DSRF tent close to the registration tent and competitors’ area. Please use your wristband that carries your number to wrap around any handle on your bag before you deliver it to the organizers. Bags will be supervised during the whole event but we do not guarantee nor replace any losses. You have to pick up your bag again at 2pm the latest on Friday 1st of September. We surely hope that you will join us in the COPENCOLD HAWAII bar after the race. The bar is located in the middle of the open event area at the big screen and in the same area you can buy food and coffee plus take a tour in the expo area. There will be toilets on the event site and inside the Opera House. On the 2.5K course there will be three right shoulder buoy turns. On the loop course, there will be 1 left shoulder buoy turn and 4 right shoulder buoy turns. On both the 2.5K course and the loop course there will be several guide buoys. For the loop course, there will be guide buoys you will have to pass on the right hand going out of the harbor and on the right hand going back into the harbor. For the rest of the guide buoys you can pass on either side (please see the map). There will be a secluded area for competitors (please see the map) which is where you can drop of your board and stay until you have to get on the water. You can also leave your board here while you attend the briefing in front of the Opera. There will be officials controlling the entrance to the area but they will not supervise boards of each competitor. The competitors area is also the area where you will get in and out of the water. Please help us start the race on time by getting on the water as early as possible after the safety briefing. You have to get to the starting zone so that you are ready for the start at 9.30am. You will be floating in the starting zone together with the all other competitors when the start goes. If you are paddling 10K or 15K and estimates yourself as a fast athlete please make sure you stay in the front of the starting zone. At registration, you will get a personal Lycra and a GPS TracTrac timing device. You can keep the race shirt after the race but you need to hand in the GPS timing device again when finishing the race. We will have people at take out to help you. On the lower back of the race shirt you will find a pocket to carry the GPS device safely. Please make sure that the GPS device is secured in the water safety bag (a small drybag) and inside the pocket before you go on the water. You have to wear your race shirt and GPS TracTrac device during the whole race. Your friends and family can follow you online during the race due to the GPS TracTrac unit that you are carrying. Find and download the App “TracTrac” on your phone or tablet and remember to give your startnumber to friends and family. It is mandatory that you have both stickers on your board during the race. The safety briefing is at 8am in front of the Opera House – please attend this session. Leash is mandatory. You will not get permission to start without a leash. PFD (Personal Flotation Device) is optional we though recommend all under 18 to carry a PFD. Remember to dress accordingly to the weather conditions and know your own limitations. Be aware of your fellow paddlers and follow instructions from the safety team. During the race, there will be lifeguards in safety boats placed at different locations on the course. If you get in any trouble they are there to help you so please create any attention towards them by waving your paddle or hands if you need help. 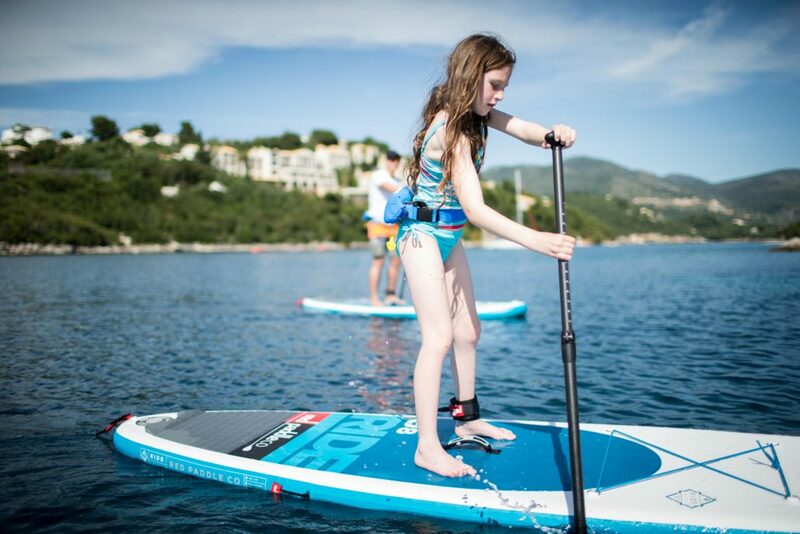 There will also be officials on SUP boards to guide you around on the course and on ground, in the competitors area, there will be a First Aid and Medic tent in case you need any care. Please see the map.